How can you get consistent stress and back pain relief without a large investment of time or money? In The 2 Minute Yoga Solution, you'll discover how a consistent yoga practice of 2 Minute Yoga will give you better, longer-lasting results than longer practices done less often. 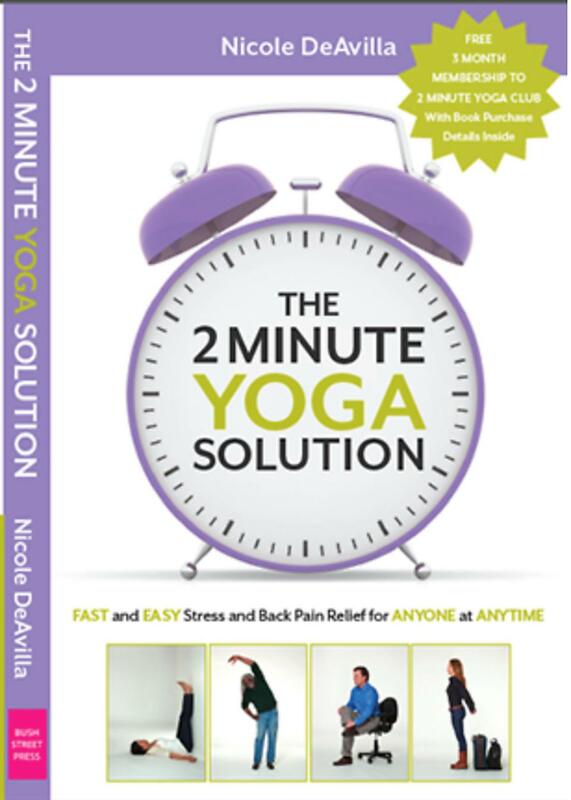 Based on years of scientific research and real-life testimonials, The 2 Minute Yoga Solution by 30Seconds featured contributor Nicole DeAvilla shows how the daily practice of 2 Minute Yoga is the best way to combat stress and back pain ... consistently. Plus The 2 Minute Yoga Solution sequences are enjoyable, safe, simple and easy to do. Ahhhhh Nicole DeAvilla won't let me add to my cart! Hey Nicole DeAvilla , I'd love a copy of the book. Is it available yet?